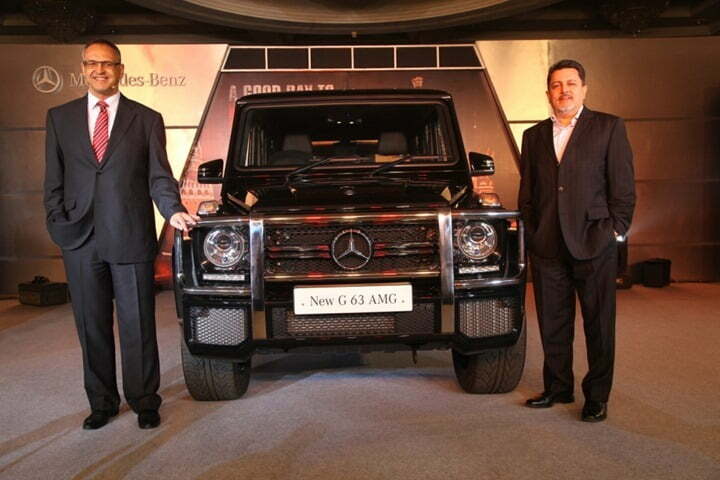 Mercedes Benz India has officially launched the rugged SUV G63 AMG in India on 19th Feb 2013 in Mumbai. The SUV has been priced at Rs. 1.45 Crore ex-showroom Mumbai. 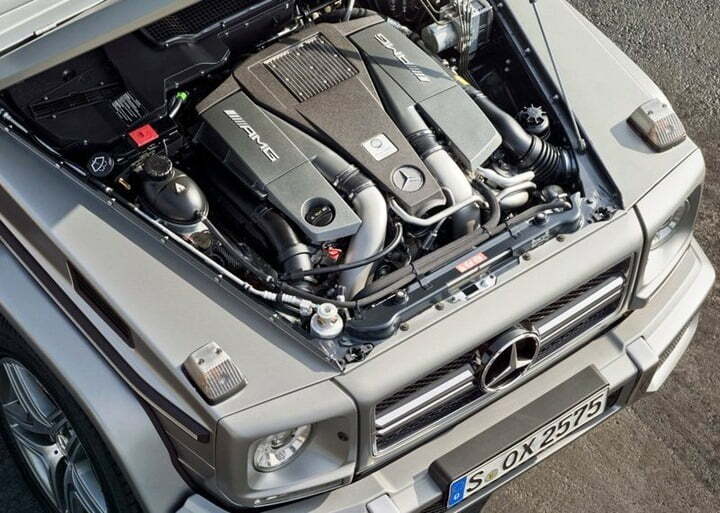 Powering the mighty G63 is a supercharged 5.5 Litre V8 engine which delivers a peak power of whooping 536 BHP and a torque of 760 Nm. It can do a sprint of 0 to 100 KMPH in just 5.4 seconds. More details and pictures follow below. Mercedes Benz seems to perceive India as one of their most important markets and rightly so, as India contributes quite significantly to their global sales. If they are going to achieve their goal of becoming the number 1 luxury car maker by 2020, India is going to play a huge role in the achievement of its success and Mercedes are going to leave no stone unturned to regain their number 1 position from its German competitors BMW and Audi. 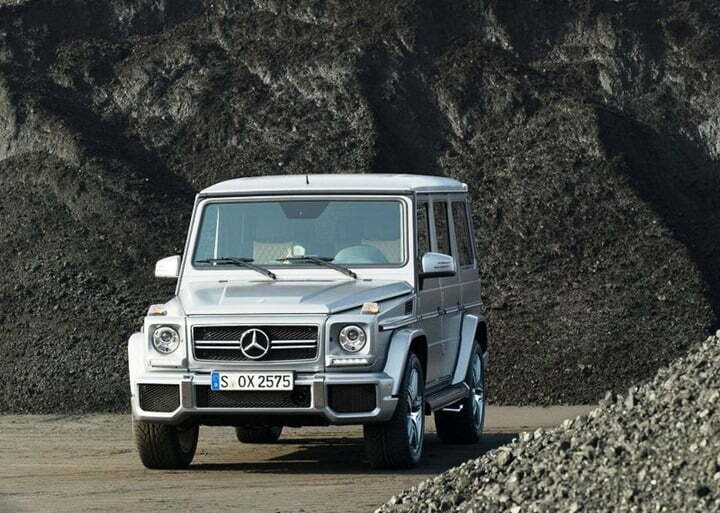 Mercedes is preparing a host of cars for India launch in 2013 and first in line is the iconic Mercedes G63 AMG which will replace the current G55 AMG. These performance figures are will be transferred to the wheels AMG SPEEDSHIFT PLUS 7G-TRONIC automatic transmission system. This means that the G63 AMG will go from zero to 100 km/h in just 5.4 seconds and will soon hit the electronically limited speed of 210 km/h. 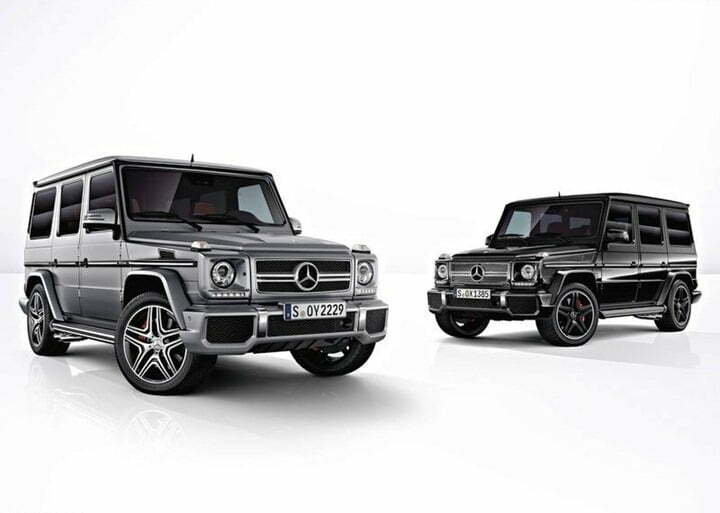 On the exterior changes front, the G63 gets new front bumper with three huge cooling apertures, new grille, LED daytime running lights, side-mounted exhaust system and unique alloy wheels. 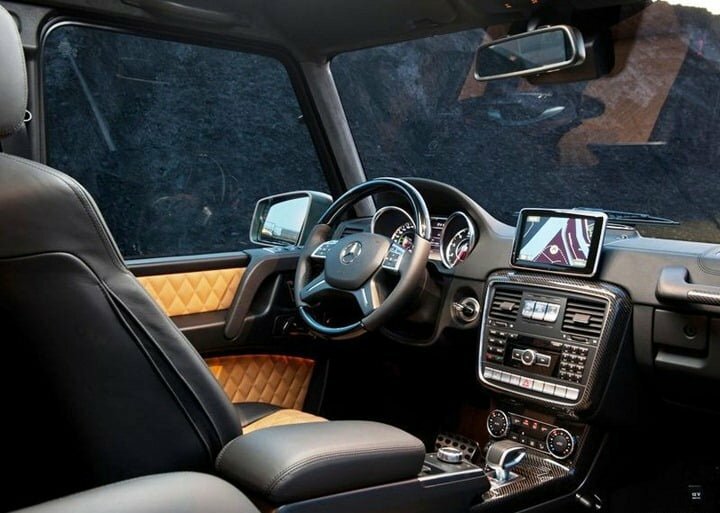 When you get inside the car, you notice a SLS AMG like steering wheel, shifter, an all New COMAND infotainment system, carbon fiber trim strips and perforated leather seats. 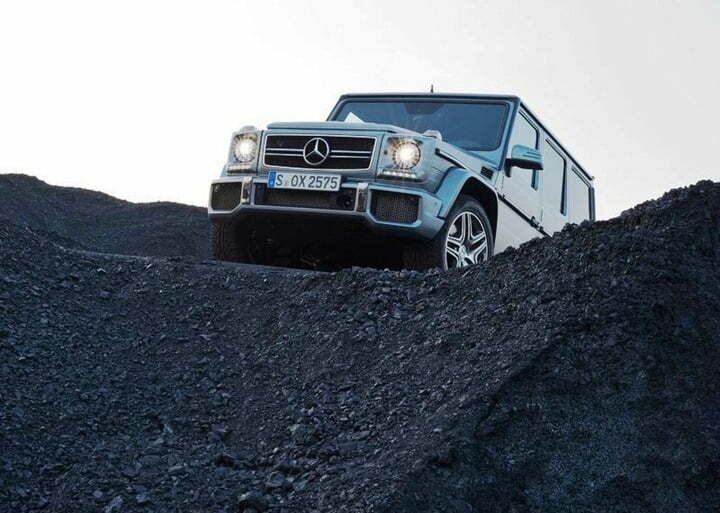 So despite it being a complete off-roader, it gets all those bells and whistles that every luxury car has. To the common Indian, it might look like a tweaked Tata Sumo in the first glance but that it is something no car can ever be. 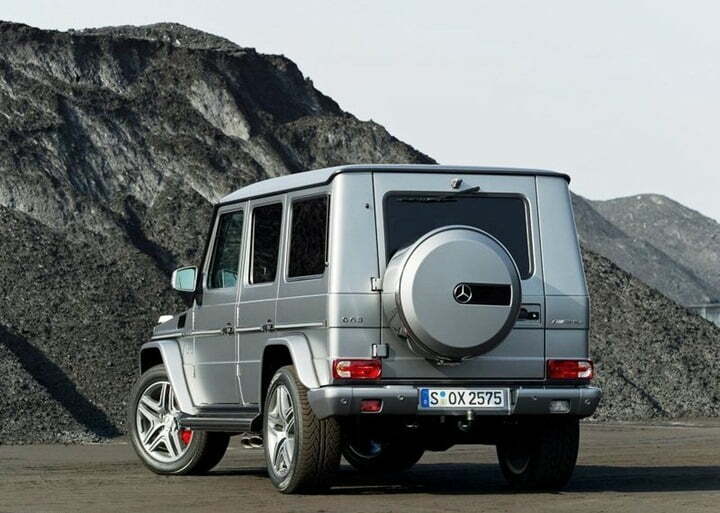 The G-Class represents a cult of off roaders who have a thing for some serious off-roading and according to us, it is one of the most insane( for some it would be sane ) off roaders on sale. It will be brought in as a CBU and is not going to be a volume car, but would rather be a car that will make the presence of the 3 Point Star felt. Price. North of Rs. 1 Crore.